I am a self-professed non-reader. I have never enjoyed reading. I skimmed everything I could in high school, survived on Cliff's Notes in college, and the number of books I have read post-college I can count on one hand. And, then I married a bookworm. My husband loves to read. He is constantly surrounded by books. He has a stack on his nightstand ten deep and is always in the process of reading several books at a time. I watch him - lost in his latest book and soaking up every word as if he's escaped to another world. That's hard for me to understand. Because I have only read a handful of books in my whole life. And, I've enjoyed only a few of them. But, I really want to know what that's like - to really love a book and get lost in it - and I don't know where to begin. I want to read. But, more importantly than that, I want to love to read. If you were to recommend one book to me, a self-professed non-reader type - a book that just might rope me in and grab my attention and that might get me started on a journey of loving to read - what would it be? Single book. Is that what it's called? I could tell you the three or four books that I've loved so far in my lifetime, but I don't want those to affect your recommendations to me. And, each one is more different than the next anyway. I'll choose one of your recommendations this weekend, and commit to reading it - from start to finish. And, I'll stick the book I've chosen on my sidebar while I'm reading it, and tell you what I thought if it when I'm finished. So, dear "readers", what would you suggest? So I have friend who called herself a non-reader for most of her life. She became "a reader" through the Harry Potter series (strangely to me though she started on book four and wrapped back around to read them all). She has also successfully completed numerous Jane Austen books (Pride and Prejudice, Emma, Persuasion, Sense and Sensibility) as well as Little Women. I think I've recommended Hinds Feet in High Places like a hundred times to you and, if I remember, I think you've read it. BUt still, I think you should read it again. Other than that, try The Mark of the Lion series by Francine Rivers. Oh, I was beat to the punch! MARK OF THE LION series is amazing! In fact anything by Francine Rivers is good- "Redeeming Love" is also one of my favorites. 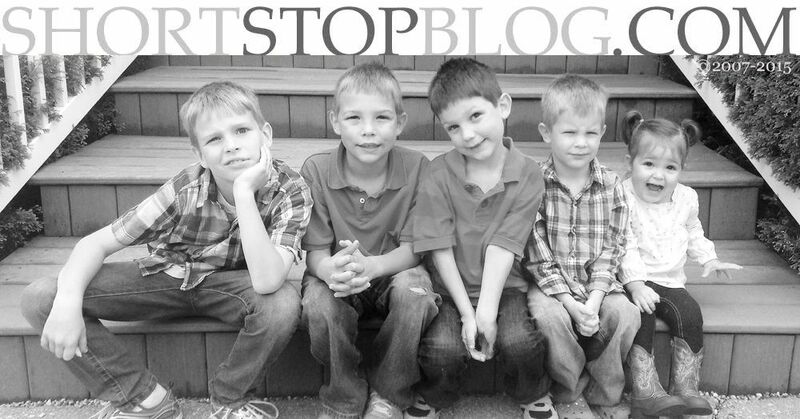 I've really enjoyed your blog (found it through Momma Roar, and go to church with Momma Roar). I would recommend The Atonement Child by Francine Rivers (or any book by her). My husband is a non-reader and actually really enjoyed this book. Stealing it from me to read! Also, any book by Karen Kingsbury is great, especially "A Thousand Tomorrows" and it's sequel. I am also a non-reader and have also only read about 3 books that I have actually started and finished. Out of those three I would HIGHLY recomend the Feminine Appeal by Carolyn Mahaney. It is a wonderful, practical book that is easy to read and really helpful in learning how to apply Titus 2 to your daily life. My Sisters Keeper by Jodi Picoult. I love to read, books all over my night stand, bookshelves filled up and downstairs, and this year because they were taking over, I donated two big boxes full to the library. My Sister Keeper is my all time favorite book. Towards the end I would only read five pages and then put it down because I did not want that book to end. I would have sworn I knew those characters in my life by the end. I'm right there with ya Sarah. I don't like reading either. The only ones I've enjoyed are books by Karen Kingsbury- they're great! I'm not a snotty reader, I love books like Holes, The Traveling Pants series...just fun to read, escape books! I have read your blog for awhile, but have never commented--but I couldn't pass this up! I would highly recommend to you "The Mitford Series", beginning with "At Home in Mitford"--just a good-for-the-soul book! It is very well written, but does not require a lot of effort to get through. It grabs you and keep you hooked, not with drama and mystery but with love, humor, and comfort. It makes you wish you were living the story--while simultaneously reminding you to love the simple things in your life. I actually bought my copy from a used book store exchange--and when I got home and opened the front cover, I found a handwritten message "This is a great story--you'll love it! Love, Mom". And it really is that kind of story--one Mom would send in the mail with a handwritten note. OK, so I was trying to think...knowing you and some of your likes and dislikes...what would be a good book. I do think if you're going to develop a love of reading, you have to first find an author you love. If you find an author you can't possibly put down, it leads to other books, which leads to other authors and so on. Mark of the Lion is AWESOME. Totally loved it and I know that it's already been recommended. Really, almost anything by Francine Rivers is good. However, that's not my recommendation. I'm going secular on you. My recommendation is the Shopaholic series by Sophie Kinsella. It's SO much better than the movie (although the movie is a cute chick flick) and completely addicitve. Confessions is the first one, but there are others, and the book goes really quickly. I'm going to go with something non-Christian, and recommend books by Amy Tan. I don't read very much, but her books have always pulled me in right away. My favorites are The Joy Luck Club, The Kitchen God's Wife, and The Hundred Secret Senses. Each of these really provides a glimpse into Chinese culture. I'm finally commenting on your blog for the first time! It has grown to be more than just a convenient way for me to keep up with an honorary Ellingsworth sibling. I'm going to recommend the first book that came to mind as I read this post. As a fellow Baltimore-raised lady, you may appreciate it and find the subject to be closer to you than you first think. A Thousand Resurrections by Maria Garriott. It was the first book Dad recommended and handed to all of us siblings that I actually read and enjoyed. I guess Mr. Bookworm Sr. knows what he's talking about after all. There is no way to pick just one, but many of your readers have commented on my 2 favorite authors and series, Karen Kingsbury!!! and Francine Rivers!!! I'll go with ANYTHING by Karen Kingsbury. I recommend Memoirs of a Geisha by Arthur Golden. It was probaly one of the first non-Christian fiction books I read as an adult and I absolutely loved it! Don't be tempted to watch the movie instead...as is often the case, the book is so much better. I recommend it because I read it recently, and I could not put it down. I read it in 2 days (with 2 little kids). It is the first in a three part series, and the second book just came out. I am going to get it today. I can't wait. It is (slightly) disturbing though, but it's not that bad (I promise!). I read it in a church book club...but not knowing you personally, I feel I have to warn you. I love to read, but I read in spurts, as in devour a book one weekend then maybe wait a month before picking one up again. I can't read every day b/c I am the type that has to read till the book is done and well keeping up with a house and 3 kids doesn't lend itself well to that. That being said, I had gone on a reading hiatus during college... basically only reading required texts. Then during our first year of marriage Scott bought me the O Malley Series by Dee Henderson. I was totally hooked. And it completely turned me on to reading again. It's just Christian Fiction. Honestly, sometime I get embarrassed b/c those are the books I love the most--take me an evening to read--but they don't seem as erudite as those my friends are reading. Oh well. I also liked Francine Rivers Atonement Child and Redeeming Love. But I have tried twice to get into The Mark of the Lion and can't. I know like everyone in the world has recommended it to me and loved it, but I couldn't get into. Also, couldn't get into Harry Potter. Trying, but so far not successful. Another Christian fiction author I love is Terri Blackstock. I've read all of her books, but particularly enjoyed The Cape Refuge Series and the Restoration Series. I am a series girl. And I tend to find an author I like and then devour every book she/he's written. I've recently started reading memoirs... biographies of a specific time period in someone's life. They are interesting and educational and a new genre for me to explore. Hope you find something you like...look forward to hearing about it. I've been taking notes on some of the suggestions you've gotten on here to add to my library wish list. Aww, Sar... I'm not a reader either. I feel your pain in the "I want to want to read" statement. I say that reading cookbooks is just fine. I wondered why when I gave you a book your head spun around and your eyes both went crossed. Sorry Sarah, I had no idea back then that it would be just one more thing to dust, LOL. ok... so i may be a little late, but i'm going to also recommend you read The Mark of the Lion series by Francine Rivers. but if a trilogy is a bit daunting at this point in your reading quest, try Redeeming Love, also by Francine Rivers. i read it over again every few years - that's how much i like it. if you want something easy, fun and fast, try anything by Deeanne Gist. she makes me laugh. Jane Austen in Scarsdale by Paula Marantz Cohen. I'm not much of a modern fiction reader (I prefer classic fiction) but it had me chuckling the whole way through - the satire is wonderful and the characters well drawn, in my opinion. The plot is based on Jane Austen's Persuasion (hence the title), but don't let that influence you either way. It's fresh and modern and witty and fun and heartwarming (and not too long!) and I think you'd love it. I also really enjoyed the Mitford series, but it's not my recommendation to you here because I think it might be a bit too "quaint" for your taste. :-) If you want to give it a try and end up falling in love with it like I did, there are sequels galore. Most of the ones I would suggest have been suggested. I think Redeeming Love would be a great first read. You will LOVE it. I have a friend who is a non reader and she couldn't put it down. Francine Rivers is a great writer. I loved the Mark of the Lion series but I am not sure I would start there. I am an avid reader and it took me a bit to get into the first book. Once I got past chapter 8 I read it in a day as well as the rest of the books. Karen Kingsbury books are great, easy, reads. I have been on a bit of a Jodi Picoult book kick this summer. Her books draw you in from the start and it is hard to not keep reading. I saw someone mention Dee Henderson - love her O'Mally series. If you like more action packed books hers are great as well as Kathy Heimann. I liked looking at some of the suggestions - gives me some fun ideas for new reads. Can't wait to see what you pick!!! Here is my recommendation to develop a love of reading... children's novels! They have great stories, easy reads, quick books (so you're not committing to a month-long endeavor), they're cheaper, cleaner, and you'll be able to recommend them to your kids when they're older! Here are my favorites: So B. It by Sarah Weeks, The Giver by Lois Lowry, Walk Two Moons by someone I can't remember. And I read the Traveling Pants series and Anne of Green Gables about once a year! But those are bigger committments! Have fun! First of all let me preface this by saying I am a reader. Have been, always will until I had 5 children. It's hard to sit down and read and NOT feel guilty with a mountain of housework at every corner. My way of reading when I am crazy busy is to listen to audio books. Plus I have something to nourish my mind as I go about cleaning the kitchen and preparing dinners. Second of all, I will have to second the nomination for Hunger Games by Suzanne Collins. Recently I read it, yes in print, and couldn't put it down. It was great. It is located in the teen fiction section but you will like it. I can't wait until later this month when the second book in the series is released. Another series I read that I like is Stephenie Meyers Twilight series. Yes, it isn't deep. But, it's a good read. My suggestion mainly is this: if you are hesitant, stop by your local library and check out their audiobook section. Start listening, it's like dipping your feet in the pool and testing if you like the waters. That way, if you really like what you hear, you may be inspired to read it. Good luck! The "Love Comes Softly" series by Janette Oke is a wonderful look back in time through realistic historical fiction. She's written several other series as well. I just finished reading "The Kite Runner", which is realistic modern fiction. It is a heartwrenching tale of a path to forgiveness. If you like suspense, even on TV, you may enjoy books by Mary Higgins Clark. She's my absolute favorite author. Her books, while full of suspense and danger, are appropriate reads for even a middleschooler. You can always check with your librarian for suggestions as well. I was SO excited to read so many recommendations for The Mark of the Lion. It does take a minute to get into, but it's SO worth it. And, unlike a lot of other Christian fiction, it doesn't focus on a love story with a too-perfect man with whom your or my or any husband could compete with. (Sorry Christian fiction...but you DO have that tendency.) More than anything, it challenged me to stand up for what I believe in no matter the circumstances. Redeeming Love DOES have one such male main character, but I still loved it because Michael Hosea was much more a picture of Jesus to me than of a husband type figure. Another Christian fiction series that sucked me right in is by Liz Curtis Higgs and includes the books Whence Came a Prince, Thorn in My Heart and Fair Is the Rose. It's the story of Jacob, Leah and Rachel set in 17th or 18th century Scotland. And one more (SORRY!) is This Present Darkness and Piercing the Darkness by Frank Peretti. All of these are pretty easy reads. I have so many more. I'll stop now. One more thing and I promise I'll be done. I had to read Kite Runner for school and it took me at least a month to recover. It's a good book, if you can endure some very graphic and disturbing scenes. There was one scene in particular that forced me to stay up an extra two hours just so I could attempt to get it out of my head. I still sobbed like a baby when my head hit the pillow. This may be, in part, because I am naturally prone to weeping and I tend to become very emotionally invested in stories. Ok, the end. For real. A couple people already beat me to the Francine Rivers punch. "Redeeming Love" if you are looking for a single book and "Mark of the Lion" series if you want to commit to a few books. Seriously, how can you not love them?? to name a few I've read at least 5 times each. One of my favorite fun series books are the Stephanie Plum books by Janet Evanovich. The titles are easy to keep in order because the number is in the title. The first one is One for the Money. I have laughed out loud many times while reading them. They are probably PG-13. I would also recommend starting with young adult books. There are so many awesome books. One of my easy to get into books is Harris and Me by Gary Paulsen. I used to read it aloud to my 8th graders when I taught middle school. Some laughed so hard they cried. Sarah....if you read all these post, you are a reader...personally, I scanned them quickly. and I am a reader!!!! Read Water for Elephants. Skip the "made for Christians" novels. Generally they are not as well written and we as reformed Christians are called to be in the world and read with a Christian world and life view! I like to read everything and put it through a my Christ filter.... I am sending this anonymopus because I am not blog savvy:( Cant figure this whole thing out. Perhaps you will help me sometime. Okay sar....I am totally not into Christian fiction, so I'm just skipping that whole thing. Three books do pop into my mind that I think you would enjoy, learn from, but REALLY enjoy (and challenge you without being all in your face about it). 2. The Hiding Place by Corrie Ten Boom. True story, totally entertaining yet also extremely challenging. A fav. 3. Jane Eyre by Charlotte Bronte. In my top 5 books of all time. I could read this once a year and never tire of it. For all the years that I've known you I don't know why I didn't suggest this to you earlier. I have read each and every John Grisham book and have loved most of them. With your background I think you would really enjoy the legal aspect of the books. My favorites would probably be The Firm, The Pelican Brief, The Rainmaker, and The Broker? I didn't love the last two (An Innocent Man and The Appeal) as much and A Time to Kill has some disturbing parts you wouldn't like. Some have been made into movies, but as everyone knows, the books are much better! I too am a non reader. I went all the way until I was 30 before I read my first book cover to cover. I could not put it down. It was awesome. The book was "Left Behind" and it is a series. I finished the first then dove right into the next until I was waiting for the latest book to hit the shelf. I am sorry to say that I have not found any other books that captured my attention like that series. If you want to read a "faith novel" as I call them - anything, and I mean anything, by Francine Rivers is GREAT! If you want something to challenge you, pick up a Jodi Picoult book. Her book My Sister's Keeper came to the theater in June (waiting for the dvd) and it was the first one by her that I read. It took me out of the box sooooo much as did the others by her that I've now read: Plain Truth (amish, set in Lanc county, actually) and Perfect Match. Right now I'm reading Nineteen Minutes. While I usually stick to books by Christian authors, I must admit I'm LOVING Picoult's writing style and how you see the story from each character's point of view. I think you might like STEPPING HEAVENWARD. It's not a super long novel, but it's one that I have read about 5 times and will probably continue reading it every other year or so. Not only will you want to turn the page, it is so real and good for the soul. BTW, I totally agree with Emily. Cookbooks are fine. There is nothing noble about being a "reader". Zak is not a bookworm but uses him time in other productive ways. If I want to relax, I usually do read, but he relaxes by doing woodworking or building circuits. "The things you read will fashion you by slowly conditioning your mind." I also would recommend Redeeming Love-it's amazing! But my favorite non-fiction book would be The Glass Castle by Jeannette Walls. It is a remarkable life story-you will not believe the things that happen to her in her lifetime. Hope you enjoy whatever you choose! I had to laugh at/with Perpendicular Lynds because I was loving reading all of your comments and wondering if I should make another comment because so many of the books mentioned are so good. And then she made her additional comment, so I decided to too! She sounds like a kindred spirit with me and books! Authors like Kingsbury, Kristen Heitzman, Terry Blackstock, Francine Rivers, Gist,....I've read just about all of their books and they are just so good! When reading Christian fiction, I am very often encouraged as the author writes with a Christian worldview and often refers to God's Word in the storyline. Happy Reading! I don't have time to read all the recommendations from others, but I did skim...and I find it interesting that Linda recommended A Thousand Resurrections. That is one of my favorite books...written by the pastor's wife of the church Patrick and I attended in Baltimore. I know the author! That is a great suggestion. I know it's too late for my two cents, but A Girl Named Zippy by Haven Kimmel is the funniest book I have ever read. I love her style. I laughed out loud. It's about small town life. Read it. Trust me. I'm late to the book love-fest, but that won't stop me. I know you already chose, but once you are done with your book you will be looking for more. Peace Like a River by Leif Enger is haunting and beautiful and wonderful. Same Kind of Different as Me by Ron Hall and Denver Moore is also beautiful. Happy reading! I know this is an old post, but I just wanted to add something here. Water for Elephants is an amazing book! There is a movie out now, but I'd recommend the book before seeing the movie. I read the book then watched the movie. I am a total Bookworm btw, though!